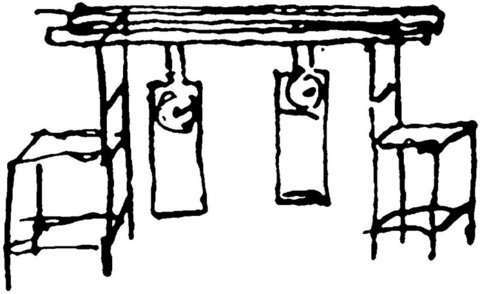 A drawing by Christiaan Huygens of his experiment in 1665. In 1665 Christiaan Huygens discovered that two pendulum clocks, hung from the same wooden structure, will always oscillate in synchronicity. Today, some 350 years on, Eindhoven and Mexican researchers present the most accurate and detailed description of this 'Huygens synchronization' to date in the journal Scientific Reports. It is evident that Huygens had come up with the right explanation insofar as this was possible back then. Moreover, these insights help us to understand synchronization in all kinds of oscillating systems, such as the biological rhythms of the human body. 'An odd sympathy' was the way the renowned Dutch physicist Christiaan Huygens termed the unexpected discovery he made at home in The Hague in 1665. Two pendulum clocks he built himself and hung on the same structure appeared time and again to swing nicely to and fro with the same frequency regardless of their starting position. Lacking the requisite mathematics at the time, Huygens contended that the effect was being caused by tiny vibrations in the wooden structure on which the clocks were hanging. Some 350 years later, Henk Nijmeijer, professor of Dynamics and Control at Eindhoven University of Technology, a Huygens aficionado, along with his Mexican colleagues found that Huygens genial explanation was right. In the journal Scientific Reports – a sister journal of the authoritative Nature – they describe the most comprehensive study undertaken to date on the effect, known today as Huygens synchronisation. 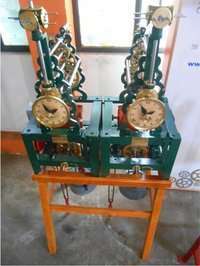 The team performed a modern variant of Huygens' experiment whereby two pendulum clocks specially made for the purpose by the Mexican clock manufacturer Relojes Centenario were placed on a wooden undersurface. In addition to taking extensive measurements, they analyzed and simulated the effect using the most detailed mathematical model developed for this experiment. This enabled them to dissect the mechanism behind the synchronization correctly and in detail, and consign to bin the theory proposed two years ago that the synchronization was attributable to acoustic pulses. They also discovered what variables determine whether the clocks swing in parallel with or counter to each other, something that Huygens did not observe. Another new discovery is that pendulum clocks are not only synchronous but also move more slowly over time and thus are not very reliable timekeepers. That such an effect has kept scientists fascinated for a good 350 years is partly due to the fact that many similar occurrences of synchronization are present in engineering and in nature, like imbalanced rotor motion or the human heartbeat. There are also indications that certain epileptic attacks are caused by the synchronization of neurons that takes place in the brain. Am I missing something? Is there something else going on here?